The ES Ed Tech team has been transforming the LOFT into a creative indoor 'playground' for students where the SAS DSLOs (character, collaboration, communication, critical thinking, creativity, content knowledge, and cultural competence) are finding traction. The learning activities are organized under 5 themes: Art, Building, Coding, Engineering, and Filmmaking. Then each theme has various stations where students can explore, make, and innovate based on Challenge Cards specific to that station. 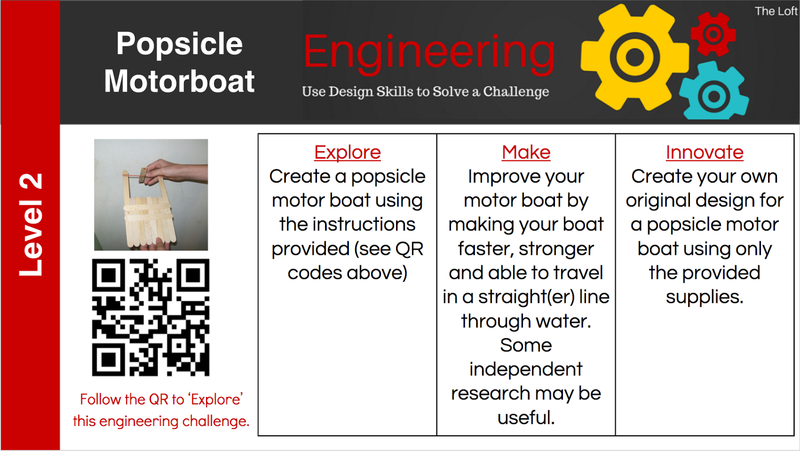 Challenge Cards come in levels as well to take into consideration that students from ages 5-11 use this space. In addition, students are tracking their progress with the use of a Creation Stations Passport. They must note down which station they completed (under the correct theme) and demonstrate and/or explain to a teacher which level they accomplished. 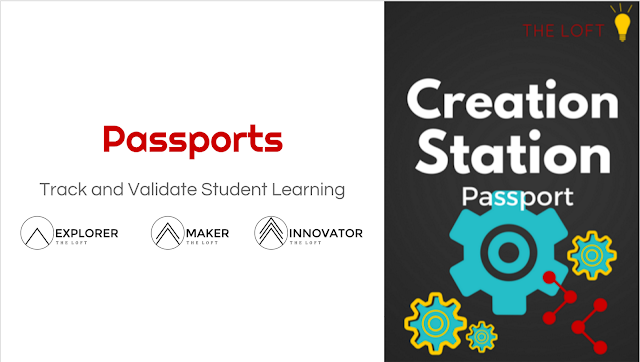 Success is noted with an 'Explorer', 'Maker', or 'Innovator' stamp in the student's passport.